Carpet faults, problems, testing and reports. Woolsafe registered inspector. As well as being an attractive traditional floor covering, a professionally fitted quality carpet should provide years of good service in the home environment. Unfortunate mistakes and poor craftsmanship in fitting, or negligence and errors in cleaning can significantly reduce the expected lifespan of a carpet, whilst manufacturing faults and flaws may spoil the appearance of the finished job. 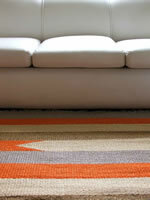 I provide a full fault inspection and reporting service for all carpets and floor coverings in the home. I will objectively and conclusively diagnose a fault thereby establishing liability and can offer advice and assistance where you might be seeking compensation from the supplier, fitter or cleaner. Whilst the vast majority of modern carpets are manufactured to exacting standards with a high level of quality control, occasionally a fault may occur unnoticed by the manufacturer and which is outside accepted standards. 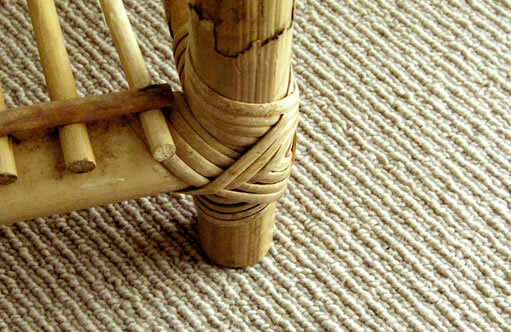 Many carpet problems are caused by poor quality fitting. A carpet may be ruined if adequate care is not taken at the fitting stage and will often result in a shortened useful life for even the highest quality floor coverings. Regular careful cleaning will extend the life of your carpet and maintain its appearance, but careless treatment can ruin it in minutes. I offer a full chemical analysis service for carpets which have recently been cleaned and have subsequently displayed faults.